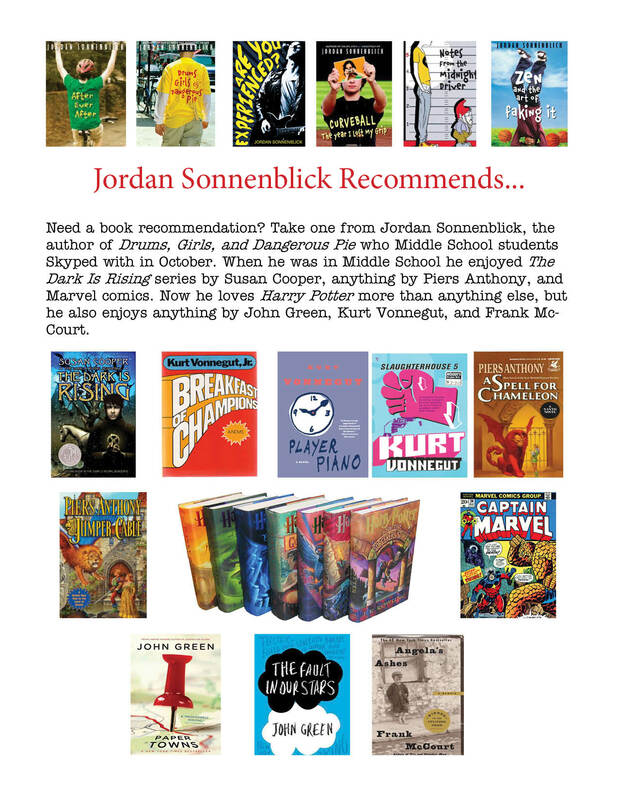 On Friday, October 4th, we had a Skype visit with Jordan Sonnenblick, the author of Drums, Girls, & Dangerous Pie, which was this year’s required summer reading for middle school. Jordan talked to us from his kitchen in Pennsylvania about the origins of Drums, Girls, & Dangerous Pie, and how he shaped a lot of the characters from people he knew in real life. He based Steven on himself and said Jeffrey was based on his son. 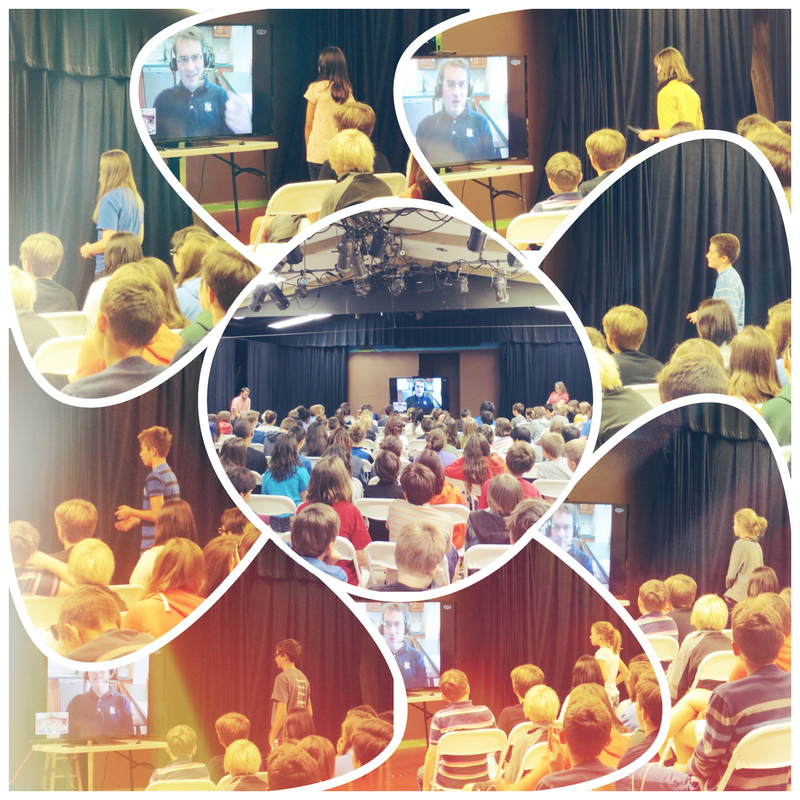 We enjoyed our Skype visit with Mr. Sonnenblick! His new book, Are You Experienced? was released on September 3rd–come on down to Matthew’s Library to check it out. Favorite young adult author, John Green, will be answering questions about The Fault in Our Stars on Good Reads on January 23rd. You can submit a question on the discussion board or just follow the conversation. It is a great opportunity if you have a burning question about the book. If you have not read the book yet, you might want to avoid the page though, as there will be spoilers! Also, John Green and his brother Hank had a show at Carnegie Hall on January 15th, which was streamed live on YouTube. Special guest stars include author Neil Gaiman and the band, The Mountain Goats. The show doesn’t start until about minute 35, so you can skip ahead a bit. Enjoy!